The exuberant actress and producer, Wendy Jane Crewson was born on May 9, 1956 in Hamilton, Ontario and right from an early age, discovered that her passion lay in acting. Her first acting experience came in grade 10 while she was attending Westwood Collegiate and appeared in the production, “The Boy Friend”. After graduating, she enrolled herself in the Queen’s University in Ontario where she pursued a Bachelor’s of Art degree. During her time there, she bagged the prestigious Lorne Greene Award for her exemplary work in theatre. From there, she left for London to continue her studies in drama and theatre. After completing her training, she returned to Canada in order to build her acting career. In 1980, she got her first major role in the television movie, “War Brides” which was followed by a role in the television series, “Home Fires”. Alongside this, she also made a guest star appearance on the television series, “The Littlest Hobo” in 1981. She made her debut in Hollywood with the movie, “Mazes and Monster” in which she starred opposite to Tom Hanks, in 1982. Soon afterwards, she was offered her first feature film, titled “Island of Blood” in 1982, which yielded substantial success for her as mainstream commercial movie actress. However in 1984, she shifted to television, when she accepted the offer to appear in the HBO movie, “The Guardian”, in which starred next to Louis Gossett Jr. and Martin Sheen. The next few years of her career saw her oscillating between television and movies however in 1980s, she moved to US with her husband, Michael Murphy and the couple settled down in California. However, she kept returning to Canada to do movies like, “Sleeping Dogs” released in 1998. 1990s proved to be the highlight of Wendy Crewson’s acting career as she appeared in major hit movies. Her first success came in 1991 when she was offered to appear in the movie, “The Doctor” followed by other films such as, “The Good Son” released in 1993 when she played the role of Macaulay Culkin’s mother, “The Santa Claus” released in 1994, followed by its sequel, “The Santa Claus 2” released in 2002 as well as, “The Santa Claus 3: The Escape Clause” released in 2006 where she played the role of Tim Allen’s ex-wife. In 1999, Crewson was seen appearing next to Robin Williams in the science fiction movie, “Bicentennial Man” and in 2000, she appeared next to Arnold Schwarzenegger in the movie, “The 6th Day”. Some of her other famous movies include, “To Gillian on Her 37th Birthday” released in 1996 where she played the role of Peter Gallagher’s blind date and the movie, “Air Force One” released in 1997 where she appeared in the role of Grace Marshall, the President’s First Lady. 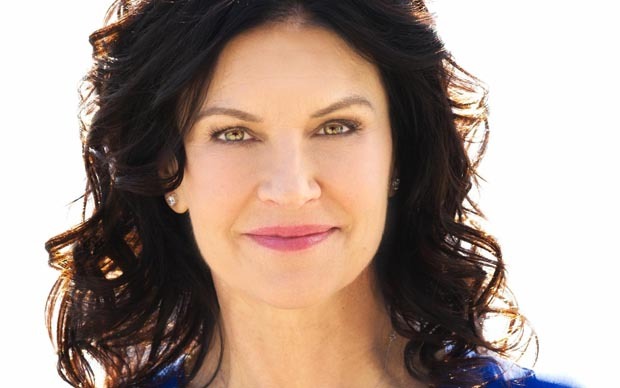 Apart from her work in the movies, Wendy Crewson is also known for her work in television for series such as, “ReGenesis” where she portrayed the character of Dr. Rachel Woods from 2007 to 2008 and in the series, “Saving Hope” where she played the role of Dr. Dana Kinny in 2012. She has also made guest appearances in several episodes of the third season of the series, “24” where she played the part of Dr. Anne Packard, as well as in the drama, “Revenge” between 2012 and 2013. She has won several awards such as the ACTRA Toronto Award of Excellence and Gemini Awards for “Best Actress” over the years.